In an anti-climax after lengthy hearings, the Supreme Court today said it will not answer any of the questions raised by expelled Samajwadi Party leaders in a plea filed by them to re-examine the anti-defection law, which lays down rules for disqualification of MPs or state assemblies for crossing the floor during voting on any particular issue. While disposing off the plea, a bench of Justices Ranjan Gogoi, Arun Mishra and Prafullah C Pant said "we are not examining any of the questions" and hinted that it was essentially as both Amar and Jayaprada had completed their term and thereby their plea became infructuous. They had wanted the court to examine if a member elected or nominated by a political party was under its control even after their expulsion. Singh has now returned to Samajwadi Party and was elected to Rajya Sabha recently after being nominated by the party. The law was introduced by the Rajiv Gandhi government as several defections were witnessed in the 1980s. The anti-defection law was intended to bring stability to the structure of political parties and strengthen parliamentary democracy by prohibiting defections. Singh, then a Rajya Sabha MP and Jaya Prada, the then Rampur MP were expelled from the SP for anti-party activities. Giving them relief, the SC on November 16, 2010 ruled that no action should be taken against them under the anti-defection law. The bench then referred the question whether an expelled member could be disqualified under the law, if she/he chooses to defy a party whip, to a constitution bench. Will the anti-defection law be applicable only against those who either defect from their party or defy its whip while still in the party? Will it be applicable to someone who has been expelled? This was the prime question under consideration for the bench. 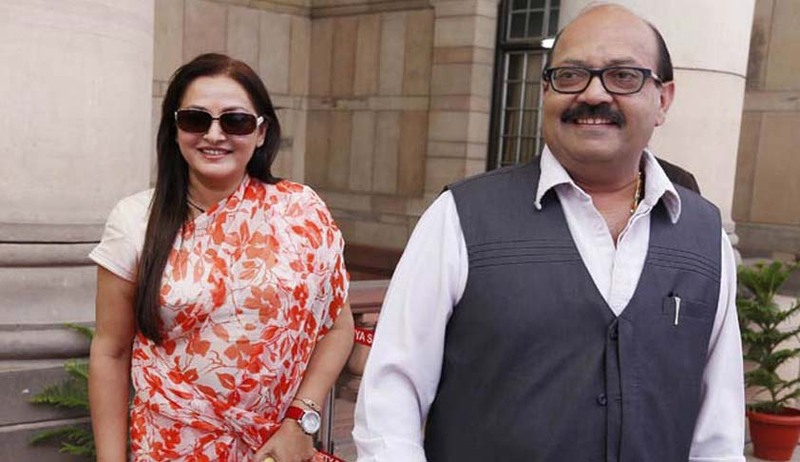 Singh and Jaya Prada had sought an interim stay on any possible action against them over voting in the Women’s Reservation Bill, which their erstwhile party, the SP, is fiercely opposed to. They feared they might be disqualified for not abiding by the party whip in Parliament, in view of the apex court verdict in G Viswanathan’s case in 1996. As per the interpretation of the anti-defection law by the Supreme Court in that case, a member elected or nominated by a political party continues to be under its control even after his or her expulsion. Harish Salve and K K Venugopal, the senior counsel for the two ex-MPs, had earlier argued that the anti-defection law could be evoked only against those who either defect from the party or defy its whip while being in the party. But, in their case, they contended, the MPs did not defect from the party but were expelled - and as unattached members they were not amenable to the party’s whip. “The provisions of the Tenth Schedule, which deals with disqualification of MPs, are not applicable to the expelled members of a political party. Viswanathan case ruling had also led to an anomalous situation where a party makes its expelled member abide by its whip even after expelling him or her from the party and the failure to adhere to such whip results in disqualification of the expelled member from the House”, they argued.